And quite a question it is. It is a question that Google is now seriously asking itself. Their stated goal of reaching 5 billion people in the world out of the 7 billion people estimated to be the world’s population with their Android operating system may seem farfetched, but perhaps not. So far Google has reached more than 1 billion users, and Android is the most popular mobile operating system in the World thanks to the many manufacturers using android as the operating system in their products. Google software is what is called open source, which means that developers are free to develop the software further, using the original Google designed Android platform. This is the case for all open source type software as e.g. LibreOffice, an office suite of programmes, or Linux, a computer operating system, and for Google it has been successful with approx. 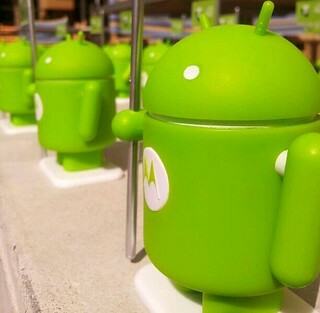 80% of the all smartphones made and sold running on an Android operating system. What Google cannot readily control is what other manufacturers or software developers do to the underlying system in contrast to Apple who has not provided carte blanche to developers without Apple asserting control, albeit within the parameters of PCs, mobiles including iPads and a few other services, whereas Google’s Android systems inhabits a wider range of products, certainly PCs and mobiles and smartphones, but also a vast array of tablets, now smartwatches and appliances. To overcome the differences in how the various iterations of Android looks and feel Google is proposing a new programming language to make that possible and to improve performance speed and better graphics. 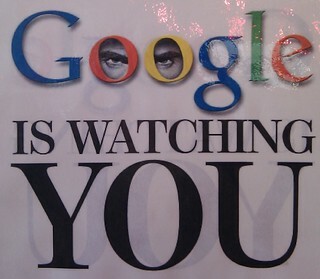 The fact that Google can obtain user data over a wide range of products is of course what the advertisers and marketers want, and with the addition of their Chrome products – browser and laptop – and their newest addition of Google Glass one might be excused for thinking that they had enough to worry about. Not so. You may have read about ‘Project Loon’ mentioned in our newspapers recently, which is Google’s intention of sending up a fleet of solar powered high altitude balloons over the more remote regions of the world providing WiFi internet access there and you can see that ‘ruling the world’ may not be quite as outlandish as first thought. Add to that the introduction to Android TV with voice control and allowing you to search for videos and information about the movies, e.g. which actors or the synopsis of the film. By then Google is in your living room as well as in your kitchen and your study and maybe also in your handbag or pocket, in your glasses and – wait for it – on your wrist with the new wearables where a specially tailored Android operation system called ‘Android Wear’ will allow you to play music, order food, set an alarm or take notes using Google’s voice recognition technology. Going to your car to get away from all this Androidism will not help you, Google has introduced ‘Android Auto’, an in-car system that beams data and content from your Android phone to a screen on the dashboard. 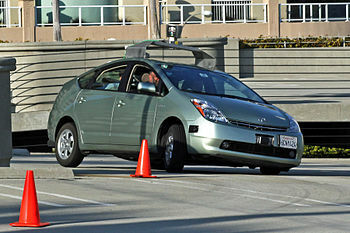 You can also expect to find it in the driverless Google car before long. It feels a bit like overkill, like being overwhelmed with technology, but the reality is of course that we are in control of the on/off button, so selectively we use what suits and what we are comfortable with, and that in the end is what make us the rulers. This entry was posted in Tech-Trends and tagged Android, Android Wear, Apple, Google, Google Glass, IPad, IPhone, Operating system, SeniorNet Kapiti by Thor. Bookmark the permalink.